The train of Superman – Ultimate Flight at Six Flags Discovery Kingdom has been modified while the park was closed this past week. The single train of 12 passengers now includes seat belts as well as upgraded, metal side guards. Originally the ride included only plastic guards along the sides of the seats, however, they were continually broken due to guests leaning on them in order to enter the train. 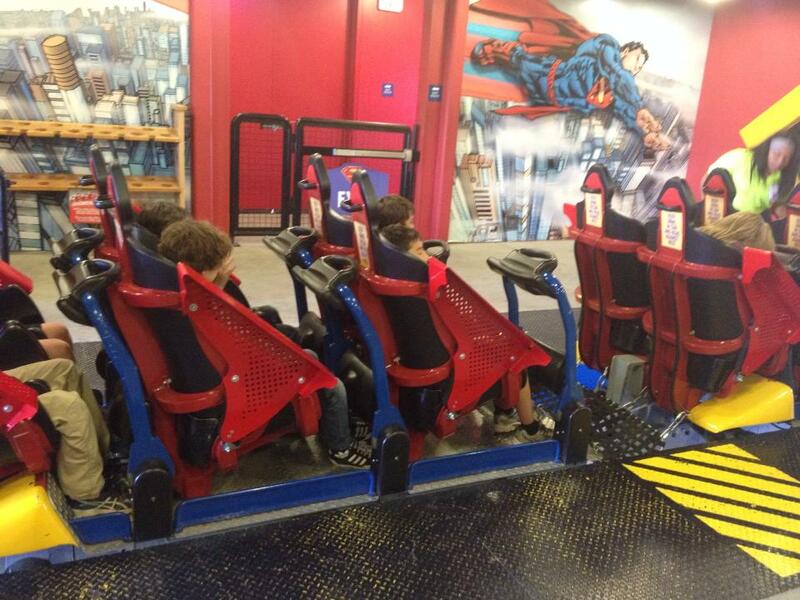 Riders on Superman – Ultimate Flight will be greeted by an additional restraint the next time they ride, and are asked not to lower their own restraints. Photo by CGA Insider, Billy D’Anjou. Used with permission. Metal, more resilient side guards have also been installed on Superman’s trains. The old ones were plastic and broke easily. Photo shared by CGA Insider, Billy D’Anjou. Used with permission. According to riders on the coaster this weekend, the seatbelts have made the ride uncomfortable, with a “pinching” effect on the vertical drop. Seatbelts seem to be the “new norm” on coasters across the country, in addition to the ubiquitous lap bar roller coaster restraint. It would appear the “dual restraint system” is here to stay – especially with the ride in litigation against parks in recent years. We shall see if it affects operations as the year goes on. (Superman’s crews are traditionally the most efficient in the park due to the single train design of the ride). As for the side guards – these should prove to be much better and resilient than the plastic ones that debuted with the ride in mid-2012. These trains are not the easiest to get into our out of – so a more solid place to lean on will be a welcome addition! Come experience the entire media day festivities for Six Flags’ newest thrill ride! Includes after-ride analysis, point of view video (POV) and even a Drew Carey laugh impersonation! Sorry for the delays in getting things up recently – work does tend to take priority over this, sadly. Nonethless, we have some exciting news! Earlier this week, I was invited out to take a hard hat tour of the new Superman: Ultimate Flight roller coaster being completed at Six Flags Discovery Kingdom. This one-of-a-kind LSM powered coaster (Linear Syncronous Motor, we’ll go into differences about technical stuff in a later post) will propel riders 15o feet in the air at speeds up to 63 m.p.h. through VERY tight clearances between the track and supports. 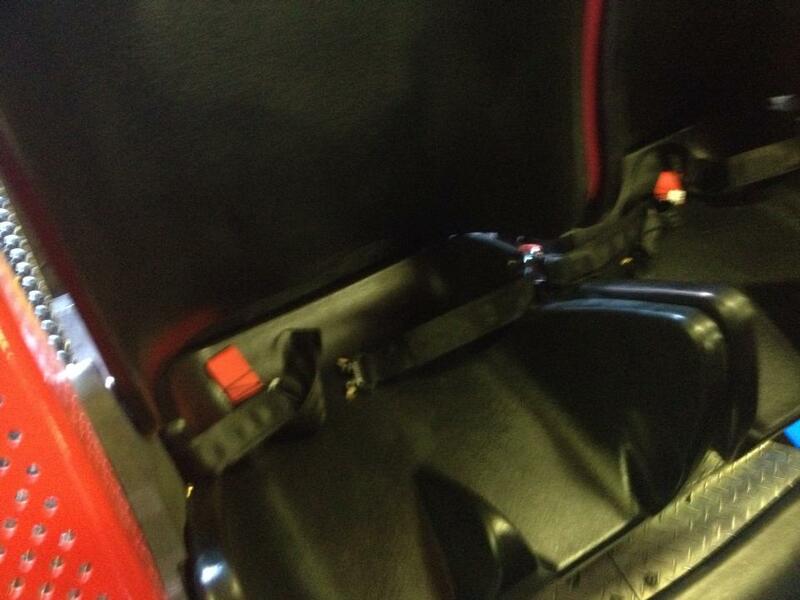 Did I mention that the only thing holding you in will be a LAP BAR?!? Don’t you just love how technology has progressed? Here’s the video we made while we were out there – enjoy!